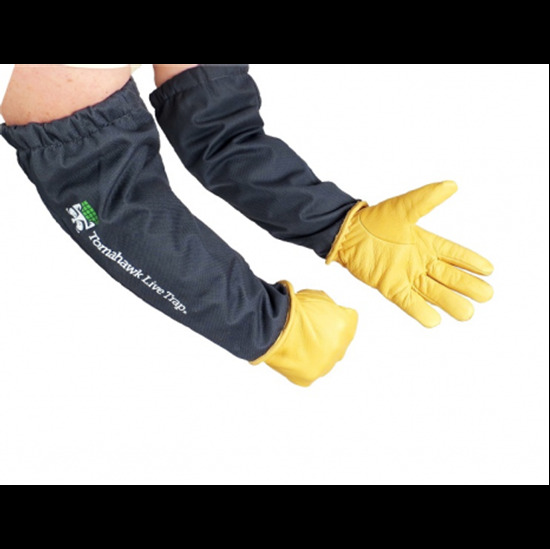 Critter gloves have been designed to give you added protection without compromising dexterity when handling animals. These gloves are made from Elk hide and lined with Kevlar. The gauntlet is made from Cordura and lined with a special knit Kevlar. Resists sharp teeth, talons, and scratches. Covers past the elbow. Excellent for cats, birds and small mammals. Model CG.